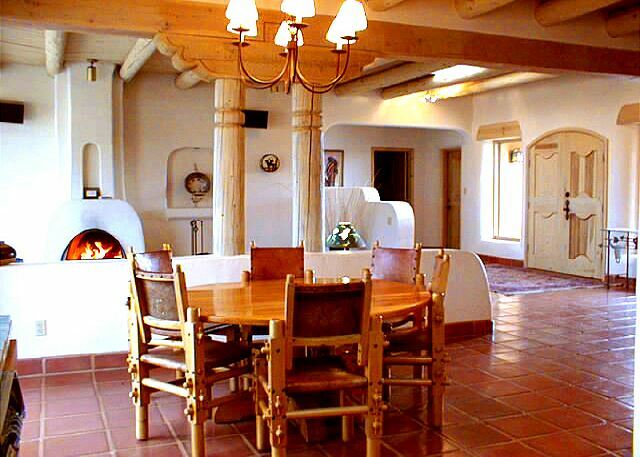 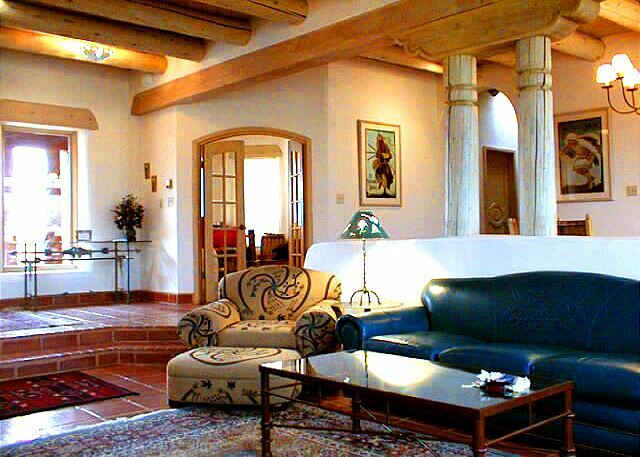 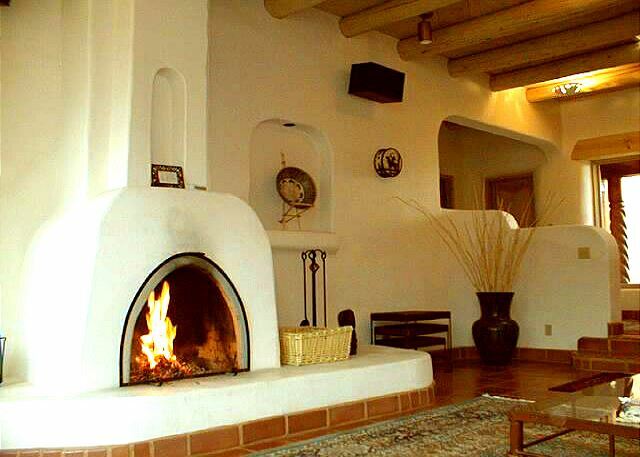 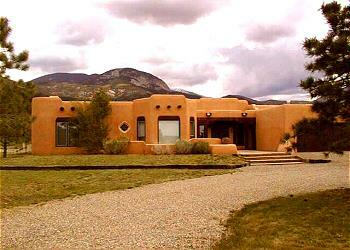 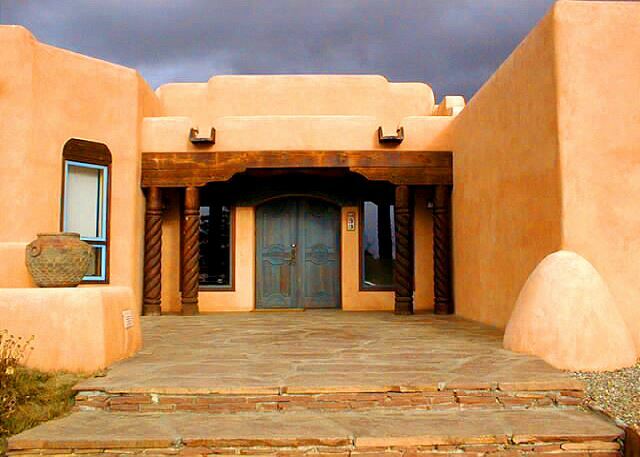 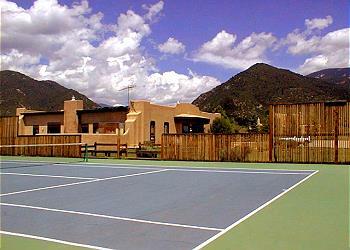 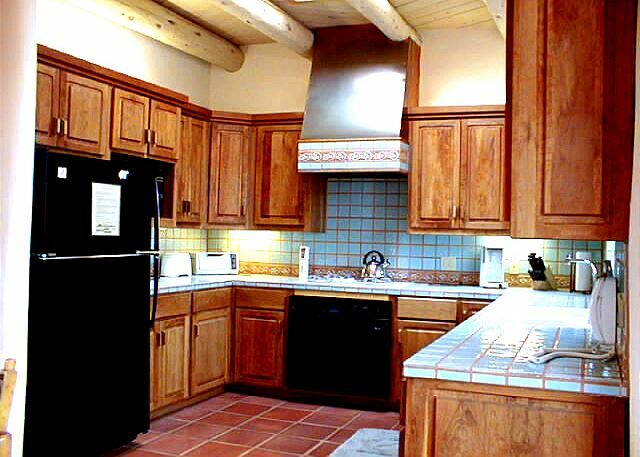 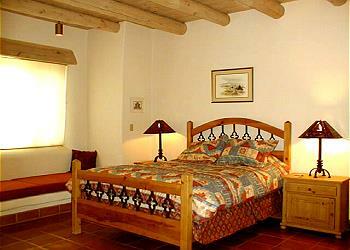 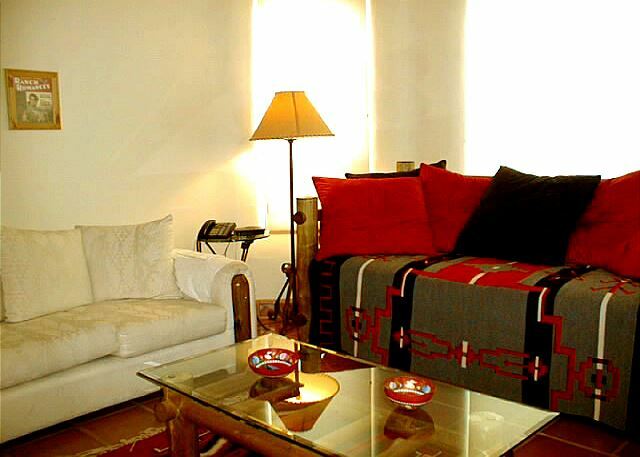 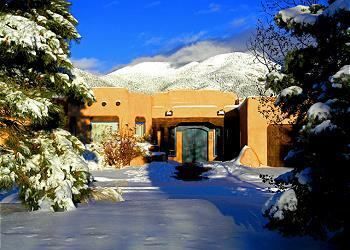 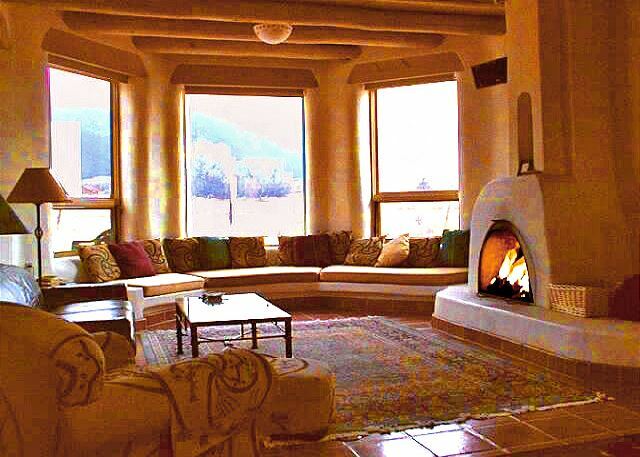 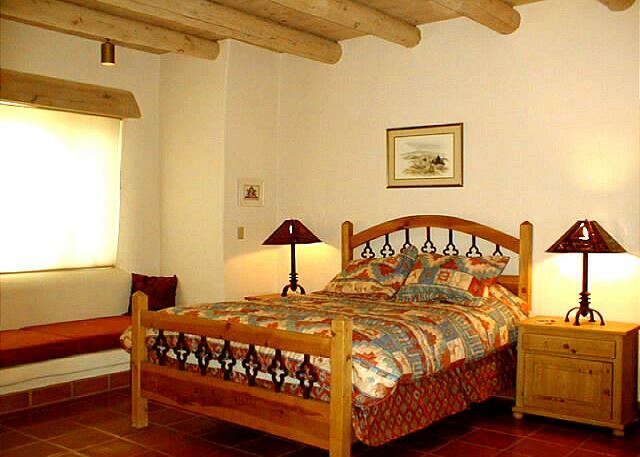 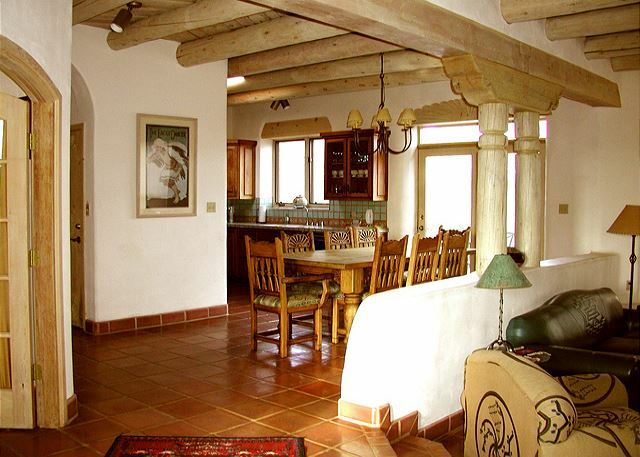 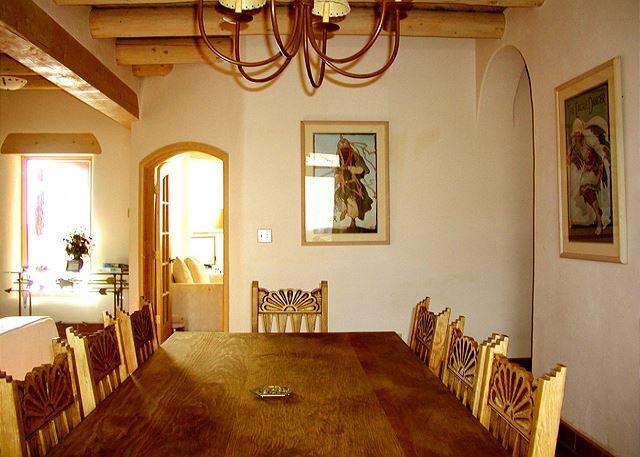 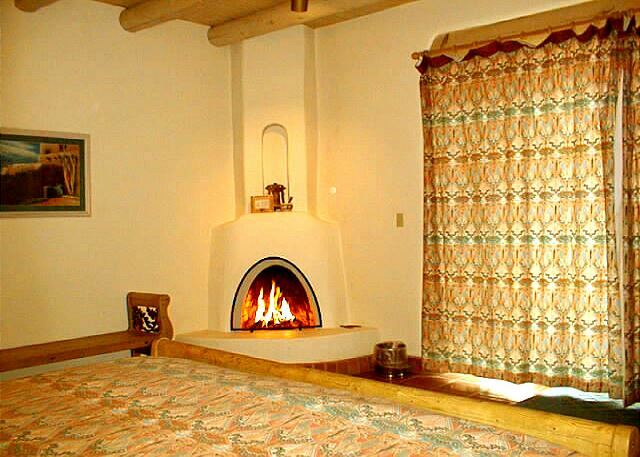 Delight in this beautifully designed custom built Taos adobe vacation rental with spectacular east/west mountain views and access to the Los Altos Club House with indoor pool and tennis court. 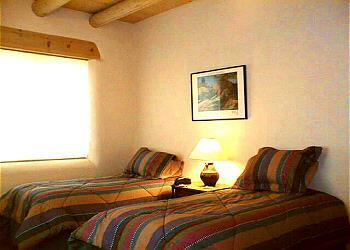 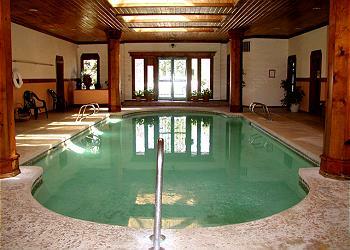 This 3 bedroom + sleeping den offers 4 private sleeping areas for less dollars than the full 4 bedroom options. 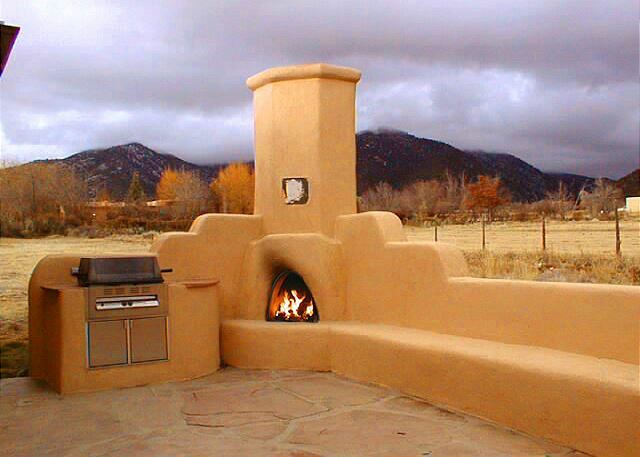 The large flagstone patio with "Outdoor Kiva Fireplace" extends your living space and offers grand outdoor evenings summer and winter. 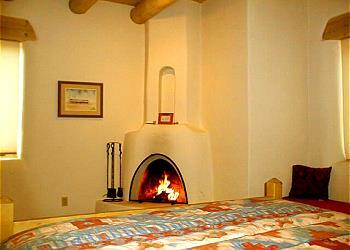 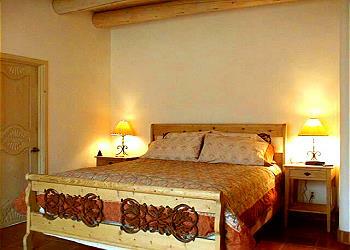 Light up the fire, have lively campfire conversations or simply stargaze and be warmed by your "Kiva". 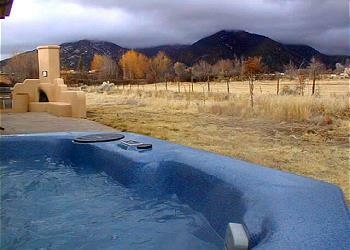 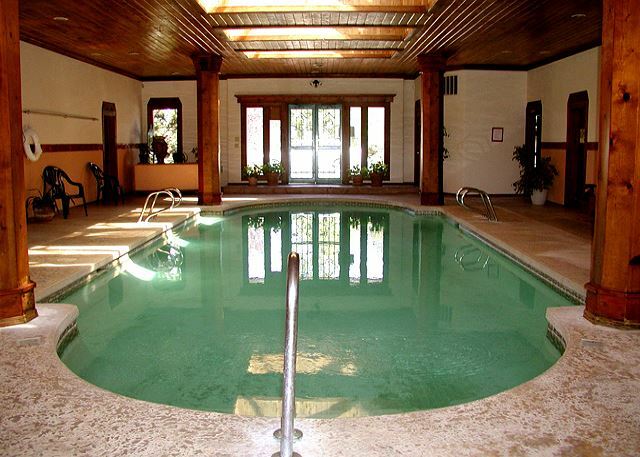 Slip into the steamy hot tub at day's end after skiing, hiking, biking, golfing, fishing, shopping, sight seeing and stargaze some more in this upscale Taos vacation rental offered exclusively by Premiere Properties.